Cutter and Buck DryTec Medina Tonal Stripe Polo Shirt Subtle stripes give this shirt a tone-on-tone style. 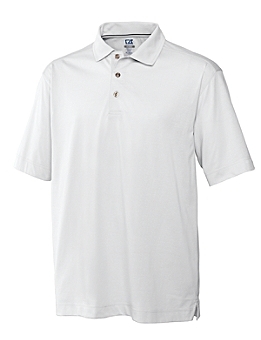 The moisture-wicking CB DryTec™ Medina Tonal Stripe Polo features piping at inside back neck, self-fabric collar, three-button placket, drop front shoulder, back half moon, side vents, open sleeves, logo buttons, and a C&B Pennant on left sleeve hem. 53% cotton, 47% polyester. Machine wash, hang to dry. Imported.